Cats are predators by instinct. And each cat is different, with different personalities, likes, and dislikes. But the one thing cats like (especially if they’re indoor cats and the quarry is sparse) is the hunt… for bugs! Cats, over time, have lost their ability to process carbohydrates from plant matter in order to extract their needed essential nutrients. Raw meat, on the other hand requires very little to digest in the cat’s short intestinal tract. A high amount of protein is required for a cat to survive. Sugars are processed from protein rather than carbs via gluconeogenesis in order to make glucose. Some vegetarian pet owners attempt to mimic their own vegetarian diet for their cat and this is a dangerous process. A dog may survive on such a diet but for a cat this mimicry should be avoided. No matter how hard you try, you seemingly cannot keep insects out of your house. Whether it be ants, centipedes, or spiders, you can be certain if your cat eyes it, the insect will be in the cat’s stomach! Cats find bugs fascinating and if any of those bugs can fly, a cat’s interest is seriously piqued! You see, a cat’s brain is programmed for the chase (they’re not as quite domesticated as their canine counterparts) and through play cats practice their predatory behavior. Usually cats have a good perception of what to eat and what not to eat. But you can’t trust in their senses 100% of the time. You also can’t follow your cat around 24 hours a day to prevent them from hunting down and eating those rare parasitic exceptions. In actuality, the danger of your cat consuming dangerous parasites with insects are very small. But there have been known cases of cats contracting stomach worms from feeding upon crickets. Crickets can carry fleas and fleas can carry tapeworms which can cause many problems for cats. Cats may experience some stomach problems after ingestion of insects, especially if the cat eats an insect with an exoskeleton, like a beetle. The cat’s gastrointestinal tract could be irritated and thus cause vomiting and diarrhea lasting for a day or two. But be aware if their stomach problems don’t resolve themselves after a few days. It may be time to make a veterinarian appointment! When the Bug Bites Back! Another time to make that vet appointment would be when the bug bites back! Bee stings and bug bites can hurt and allergic reactions usually always require some type of treatment. So it stands to reason that you may have to worry more if it’s the bug that’s doing the biting! A pesticide, in order to be effective, needs to be ingested by the insect or carried into their nest when they come in contact with the poison. 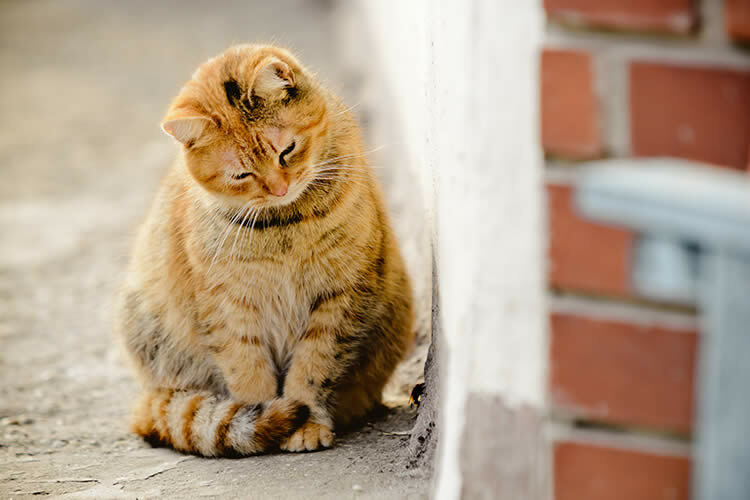 The amount of this toxin a bug carries or ingests is so minute, however, that your cat shouldn’t experience anything except some minor stomach irritation. Roach spray, for instance, usually never affects a cat but bait traps and rodenticide are another story! When using any pesticide or bait trap around the house, please thoroughly read the labelling. Ask your vet or exterminator if they can recommend any pet friendly pesticides for your own pest situation. Alternatives should always be considered. It’s interesting to note that insects do indeed supplement the diet of feral cats but whether it’s totally safe for cats to eat bugs I couldn’t say. There will always be those buggy exceptions. Furthermore, what’s even more frightening is the fact that cats face even a greater risk of being poisoned by pesticides than being poisoned by their appetite for all of those crunchy, gooey, and chewy insects! After all, to cats bugs are like a box of chocolates – you never know what you’re going to get until you bite into it! StackExchange: Is It Harmful for My Cat to Eat Bugs? PetMD: Is It Safe for Your Cat to Eat Bugs? The Nest: Is It Okay for Cats to Eat Bugs?